No purees or excess sugars here. 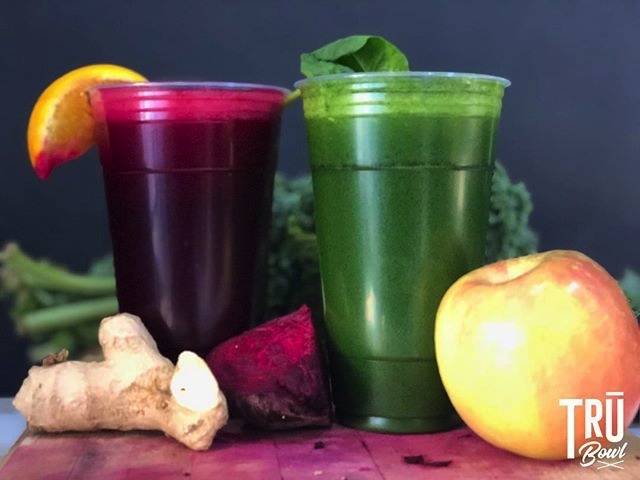 Real, raw ingredients juiced right when you order! Beet It – carrots, orange, beet and ginger. The Garden – spinach & kale, apple, celery, lemon and ginger. Green Machine – spinach & kale, apple, cucumber and celery. Spicy Lemon – apple, lemon and ginger (topped with cayenne pepper). Flu Fighter – carrots, orange, lemon and ginger. Power Up – cucumber, pineapple, celery and lemon.